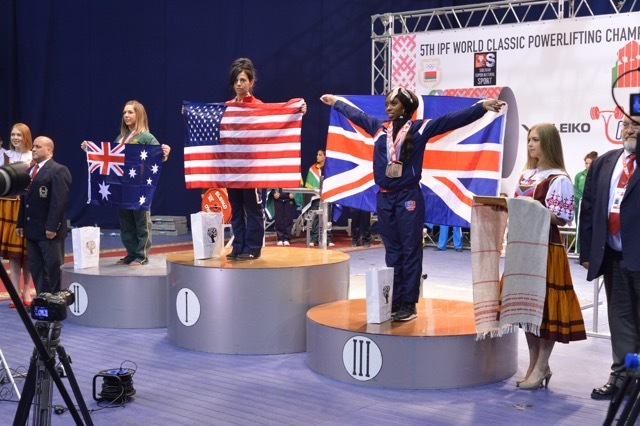 Standout was Liz Craven, a medalist for the second time, improving to silver in the 52kg class but narrowly out total’d by Marisa Inda of the USA. On the way through Liz set a World Record squat of 156kg, only for that to be scratched away with Suzanne Hartwig-Gary’s 156.5kg. Near the medals with an unlucky fourth was Yani Zhao. A miraculous deadlift of 202.5kg had Yani in the bronze position, but Zubke of Belarus came through with a controversial success on 215kg to pip Yani at the post. In the Men’s, the 74kg class saw a pair of Australians battle it out for national records, Karl di Falco coming in just ahead of Joey Zinghini, 652.5kg to 650kg. 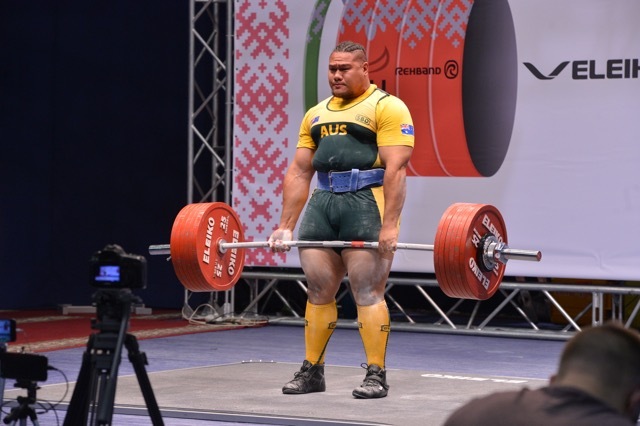 Up in the Supers there was an even more titanic Australian struggle, Tony Reinmuth and Tyron Senituli going lift for lift and Australian Records in the Squat (Tony 355kg) and the Total (Tony 887.5kg and then Tyron 890kg) resulting. In between, in teh 93s, newcomers Cale Rowston was a very solid 9th with 747.5kg. 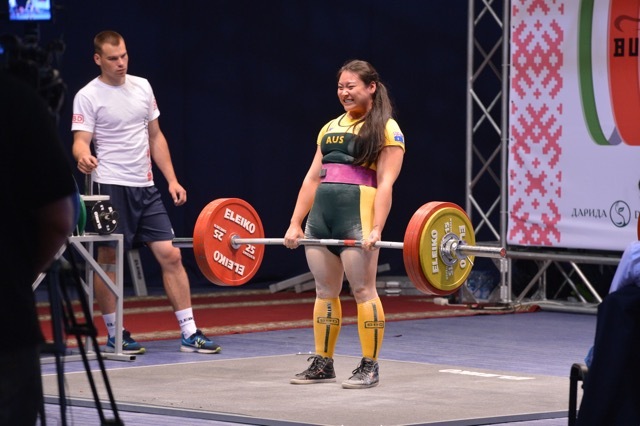 Down in the Juniors, Australia had another standout result, with Rachel Jones winning the 57kg class and setting a World Junior Record Squat of 153.5kg. At the other end of the age spectrum Masters I lifter Cass Pickard blitzed the field for a 40kg win in the 63kg class and venerable Kelvin Aitken was a clear winner in the Masters III 120+kg class. 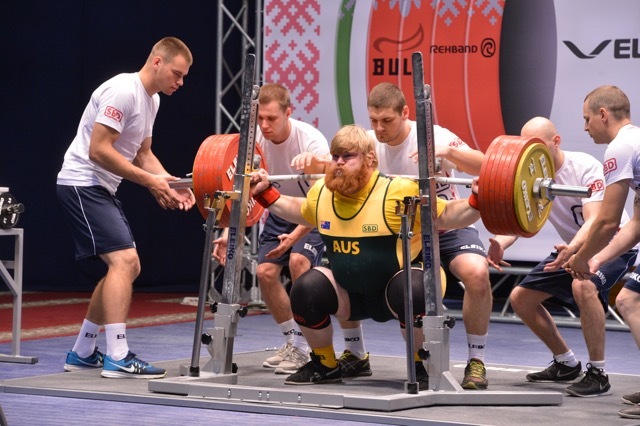 Australian Powerlifting goes from strength to strength. From here we have the Oceania Championships in Singapore in December, the stepping stone for surely the biggest Worlds ever, Calgary, Canada in June 2018.